Strangely glowing dark clouds float serenely in this remarkable and beautiful image taken with the Hubble Space Telescope. 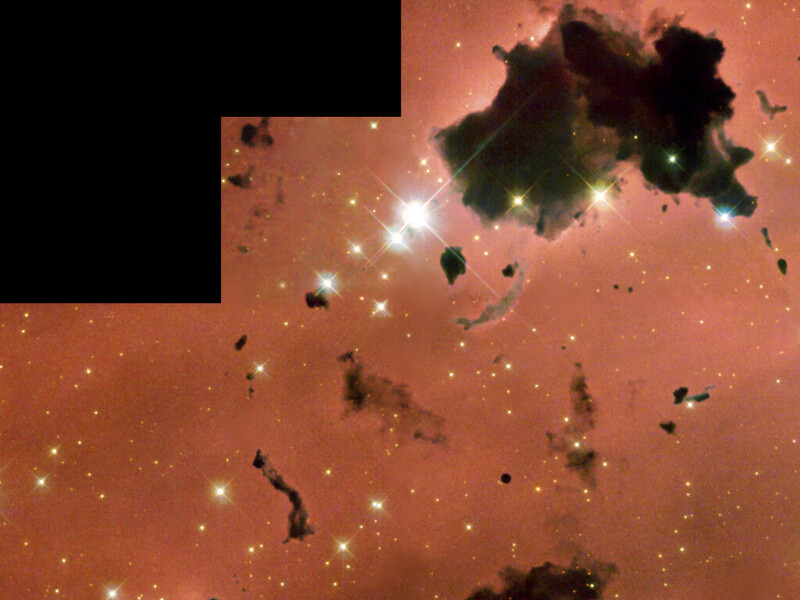 These dense, opaque dust clouds - known as 'globules' - are silhouetted against nearby bright stars in the busy star-forming region, IC 2944. 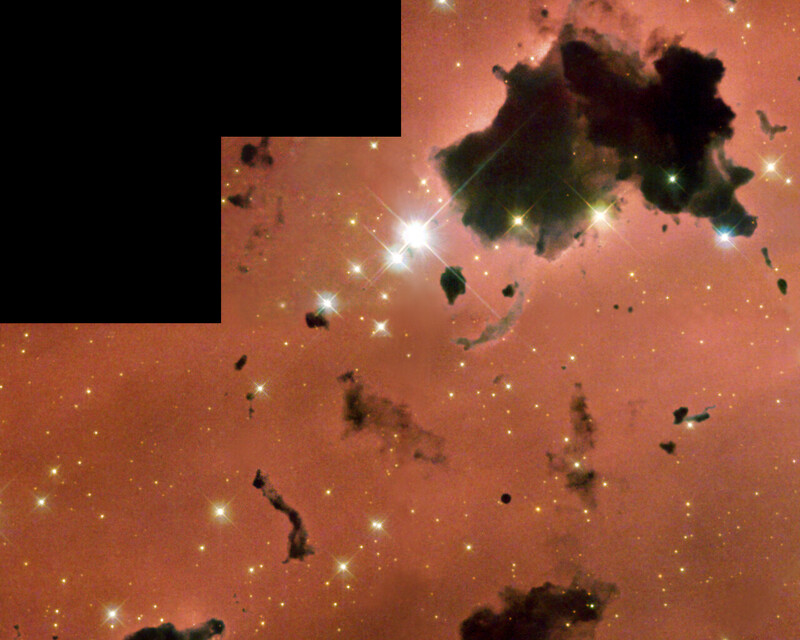 Astronomer A.D. Thackeray first spied the globules in IC 2944 in 1950. 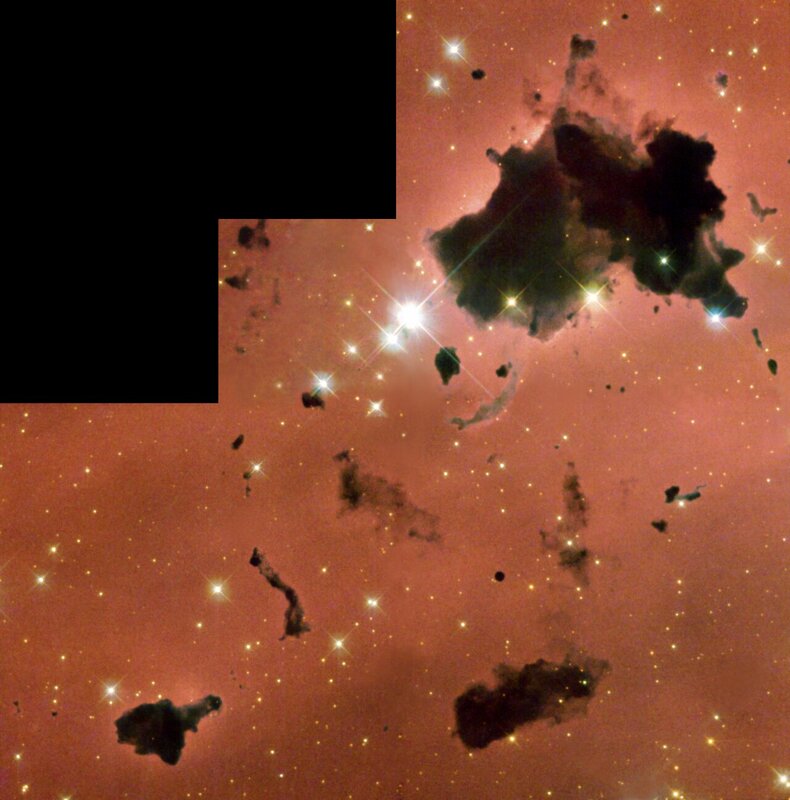 Globules like these have been known since Dutch-American astronomer Bart Bok first drew attention to such objects in 1947. But astronomers still know very little about their origin and nature, except that they are generally associated with areas of star formation, called 'HII regions' due to the presence of hydrogen gas. 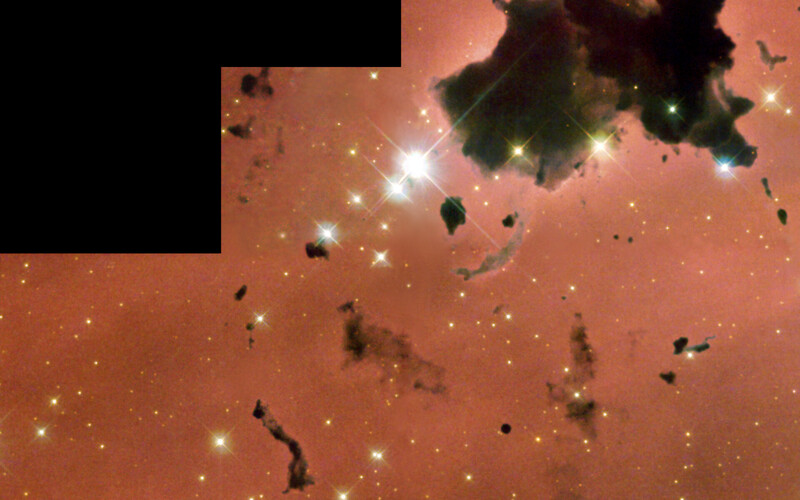 IC 2944 is filled with gas and dust that is illuminated and heated by a loose cluster of massive stars. These stars are much hotter and much more massive than our Sun. Position (Dec): -63° 20' 37.14"